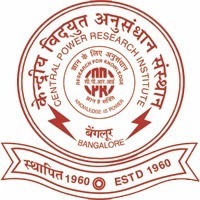 Central Power Research Institute(CPRI) invites applications from first class Engineering passouts from Electrical/Electronics field for the current openings. Posted in Electrical, Electrical and Electronics, Freshers, Government Job, Job After Btech, Research Associates. 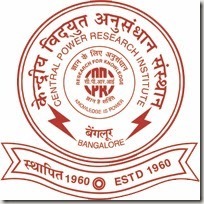 Tags: Bhopal, Central Power Research Institute, cpri recruitment, Govt. Job, graduate engineering associate, Research Associate on November 3, 2014 by Lalit Joshi. New India Assurance Co. Ltd, a premium government organization headquartered at Mumbai, which have a total global premium Income of Rs. 14,304/- Crores for the year 2013-2014 invites applications for the current officer vacancies. Posted in All Branches, Any Stream, Freshers, Government Job, Job After Btech, With experience, Without Experience. Tags: generalist officer, Govt. Job, new india assurance co. ltd, new india assurance jobs 2014, october 2014. apply online, Specialist Officer on October 10, 2014 by Lalit Joshi. Bank Note Paper Mill India Pvt Ltd (BNPM) is recruiting fresh Engineering graduates through GATE 2015. Posted in Apply online, Chemical, Electrical, Electronics and Communication, Freshers, Government Job, Job After Btech, Mechanical, Without Experience. 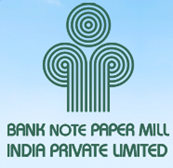 Tags: bangalore job, Bank Note Paper Mill India Pvt. Ltd., bnpml, bnpml jobs, BNPML jobs bangalore, GATE-2015., Govt. Job on September 30, 2014 by Lalit Joshi. Water And Sanitation Management Organization is inviting applications from fresh Engineering graduates from Civil background for the current openings in the organization. Posted in Civil, Freshers, Government Job, Job After Btech, Without Experience. Tags: Civil Engineers Recruitment., Gandhinagar, Govt. Job, WASMO jobs, Water And Sanitation Management Organization jobs on June 9, 2014 by Lalit Joshi.